Welcome to orchardlakesac.co.uk – a fishing encyclopedia. We endeavor to deliver smart and pun content in an upbeat manner as we uncover exciting facts about angling. We are a passionate team of fishing enthusiasts. In that regard, we could be considered guides of some sort due to the nature of insights and tips we share. This all comes down to the fact that we all enjoy sharing the experiences we have amassed over the years to help others get the best out of their fishing adventures. The decision to start this fishing website was born from the desire to pass knowledge gained from our experiences. The insights shared about fishing are offered for free with the primary objective of helping you make informed decisions towards becoming a better angler and also have a great time on the waters. What type of Content is covered here? Fishing Equipment: Out obsession with fishing gear has been one of our greatest motivation. Here, we offer our fishing great recommendations for hobbyists and competitive fishing. Competitions: These are education pages on some fishing topics ranging from competitive setups, fishing strategies, and fishing tips. 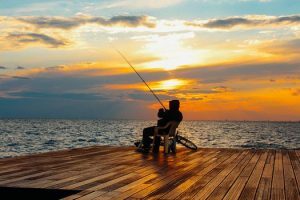 Fishing Games: Here, we looked at different types of online, PC and smartphone games aimed at making you a better fisher along with themed fishing games for fishing enthusiasts. Types of Fish: In this section, we look at different kinds of fishes, the environment they live, and a couple of vital tips specific species. We hope to add value to your fishing expeditions continually. Keep coming back, and we will be more than glad to furnish you with objective insights.